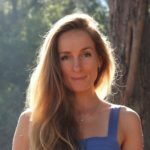 Lucy first discovered yoga in her early 20’s as a professional dancer in the UK and enjoyed the mindful approach of moving and exploring the human body and mind. 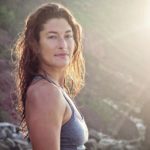 As a surfer she also saw the connection between yoga and surfing and soon had to calling to leave the professional dance world to teach yoga to other surfers around the world. She also started Yoga for City Surfers in London which has been taught in 4 cities worldwide, became a yoga ambassador for Roxy and developed a series of online yoga classes for surfers to follow at home. During the first 5 years of teaching she taught in 6 countries before she settled on the Sunshine Coast to be with her partner Jeff. The real journey happened within as she explored the depths of yoga and meditation through her own practice and with teachers around the world, particularly India and Bali. The biggest lesson yoga and meditation has taught Lucy is to listen to the body and to that innate wisdom behind all the busy thoughts. If nothing else she encourages her students to use the practice to anchor themselves into (and enjoy) the present moment as that’s where the magic happens!